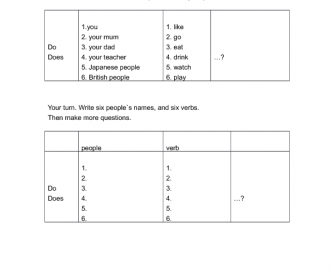 Simple activity for practicing do and does in questions. You need a dice. 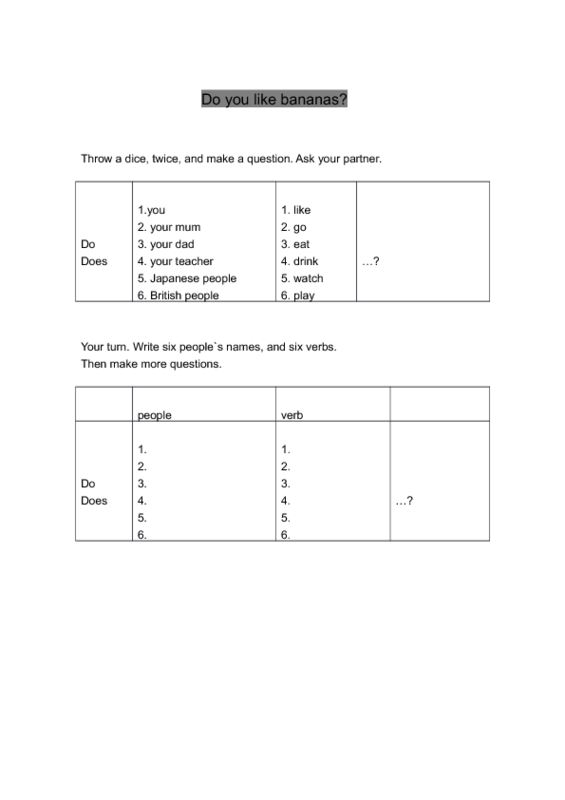 Get students to throw the dice twice and make a question using the numbers they roll, first choosing do or does, ask a question to their partner who should answer with do or does. This was written for Japanese teenagers but please adapt the name column for your country and age group.